Here we are at the end of August and naturally my thoughts are turning to fall. And if yours are too, then you’re in luck because The All Things Creative Team has rounded up their best FALL DECOR AND CRAFT IDEAS! I’m excited about fall, aren’t you? It seems that this has been an unusually hot summer this year, but I can sense a little change in the air. My birthday was last week and I bought myself a new throw to snuggle in on the front porch. It’s so soft and I can’t wait for the day that I can actually use it. I’m changing up the colors that I’m using to decorate the front porch for fall this year, and this gives you a big clue! I’m already making a few new things and I’ll be sharing those shortly but in the meantime, let’s take a look at a few things from years past. 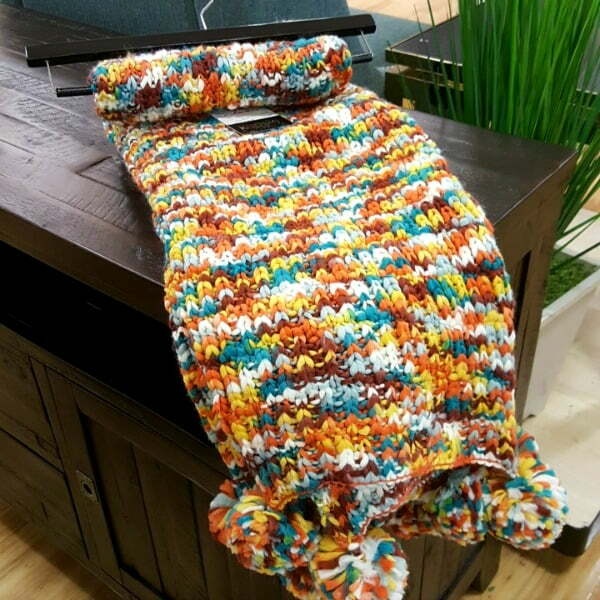 Here’s a quick and easy idea! 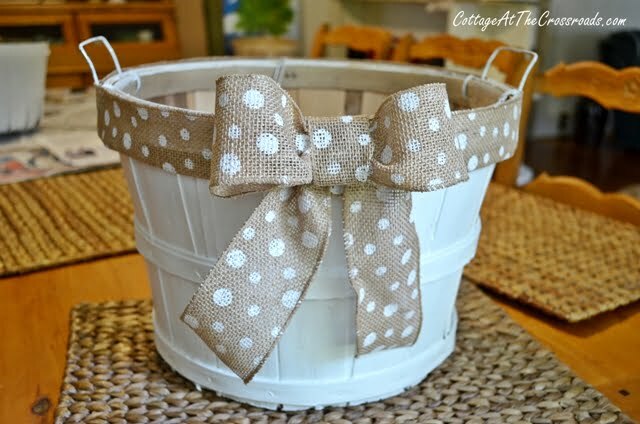 Paint some inexpensive baskets to match your color scheme and glue on some ribbon and a bow! Baskets like this can be ordered from Amazon (affiliate link) HERE. You can see how I used the basket in the post A BURNISHED FALL MANTEL. 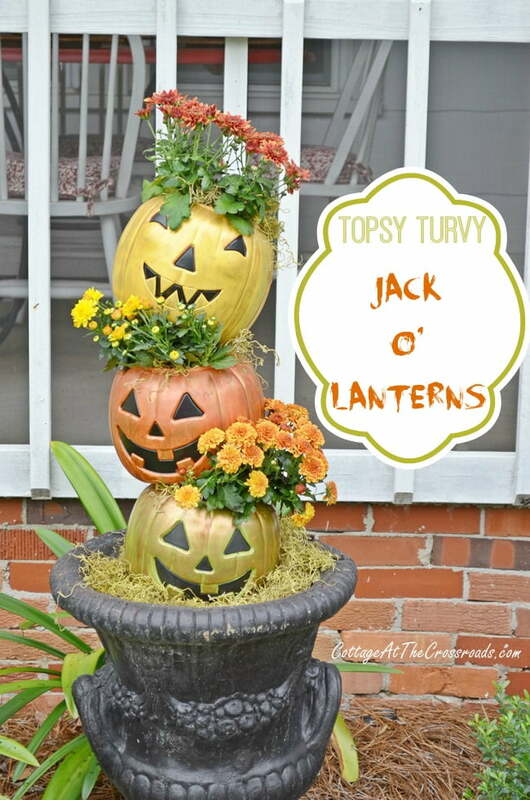 Remember this TOPSY TURVY JACK-O’-LANTERN PLANTER from a couple of years ago? Well, don’t be surprised if you see it again this year but in a different place! You may want to grab a few of these trick-or-treat plastic pails and some paint yourself! Anyway, you can see that I have a lot of fun decorating for fall and so do these talented ladies that I feel privileged to work with on The All Things Creative Team. 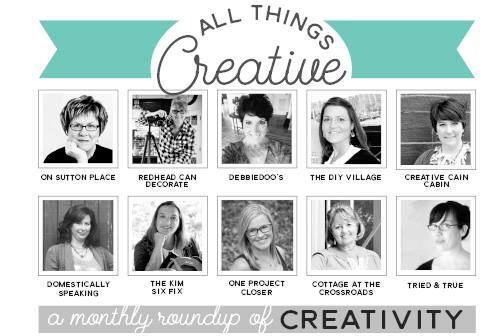 The members of our team are: Ann from On Sutton Place, Julie from Redhead Can Decorate, Debbie from Debbiedoo’s, Jacque from The DIY Village, Dawn from Creative Cain Cabin, Maryann from Domestically Speaking, Kim from The Kim Six Fix, Jocie from One Project Closer, me, and Vanessa from Tried & True. 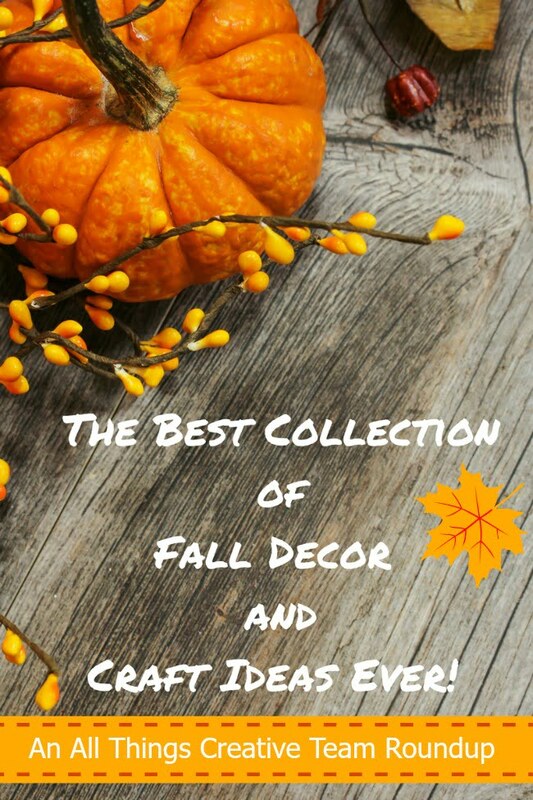 I hope you’re able to visit all these talented ladies to see some of their fall ideas, but if you’re running short on time, just pin the graphic at the top of this post so that you can find this awesome collection of fall decor and craft ideas later.